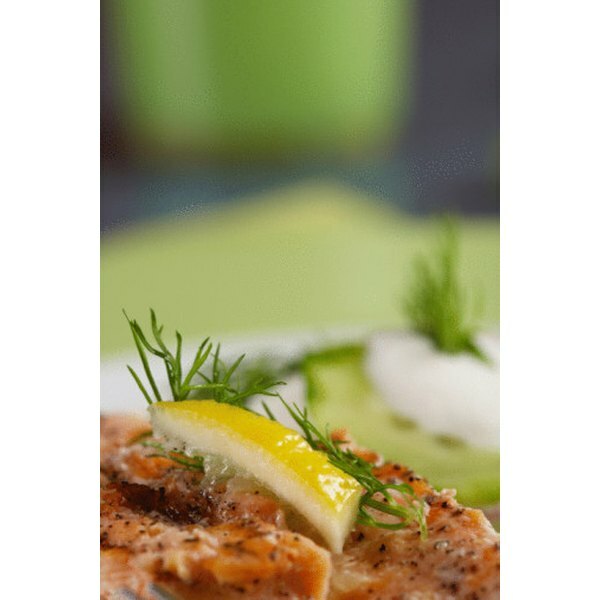 Marinate your salmon to enhance the flavor of the fish. Salmon fillets become tender and flaky after cooking, and they have a mild to rich flavor. Salmon can be poached, grilled, fried or baked. Before you cook your salmon fillets, marinate them to add more flavor. For a simple marinade, combine sweet and savory ingredients with fats or use salad dressing. If you plan to marinate the salmon, you will need about an hour of prep time before cooking the fillets. Choose your marinade for the salmon. Good choices include a raspberry vinaigrette dressing, Italian dressing or rice vinegar dressing. Place the salmon fillets in a shallow baking dish. Pour the marinade over the salmon. You’ll need approximately 3 tbsp. of dressing per 1 lb. of fish. 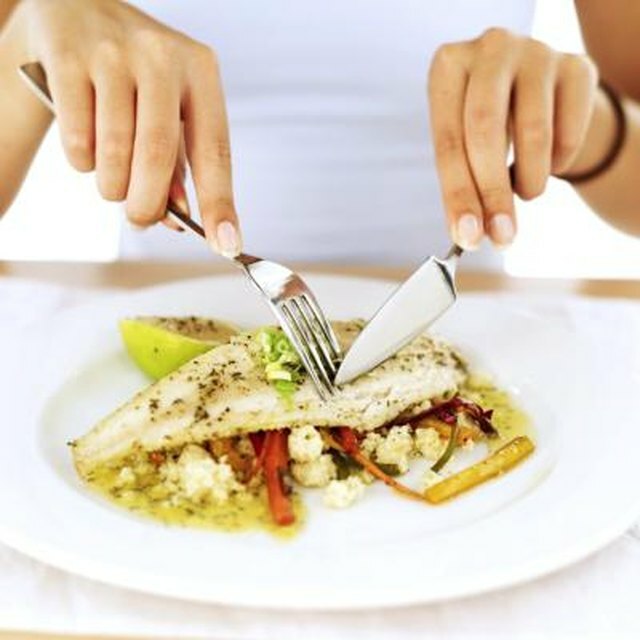 Use tongs to turn the fish over several times to make sure that the salmon is covered completely with the marinade. Cover the baking dish tightly with plastic wrap or aluminum foil. Place the dish in the refrigerator. At a minimum, the salmon should marinate for 30 minutes. However, do not marinate for longer than one hour. Remove the salmon fillets from the marinade. Discard any of the remaining marinade. Cook immediately using whichever method you choose.